Shetice Williams was born and raised in Buffalo, New York. Her passion for cooking started at the age of 10 when she realized she wanted to make people happy through cooking. She attended Emerson Vocational High School with a focus on Culinary Arts, and in 1996 graduated first in her class. Following high school, Shetice graduated from The Culinary Institute of America in Hyde Park, New York. While attending the C.I.A., she completed an internship at Walt Disney’s Grand Floridian Resort. After graduation, Shetice relocated to Las Vegas, Nevada where she worked for Emeril Lagasse in the MGM Grand Hotel. Missing home, she decided to bring all of her great experience back to Buffalo. Here, opportunities continued as she worked as sous chef for a number of years at a local restaurant in downtown Buffalo. While working full time, Shetice decided to further her education. She obtained a Bachelor’s degree in Hospitality and Tourism Management from Buffalo State in 2005. Immediately after graduating, she was appointed chef instructor of Campus House, an upscale restaurant and club, which serves as a training facility for the hospitality students at Buffalo State. During her 8 years at Campus House, Shetice began baking as a hobby. Instantaneously, family and friends were requesting desserts from this self-trained bake-a-holic. It was at this point that she realized that she wanted to open a bakery of her own. Inspired by the trends of the time (the cupcake craze, bling-ed out fondant cakes), Shetice became “Cake Crazy” and the researching and planning began. 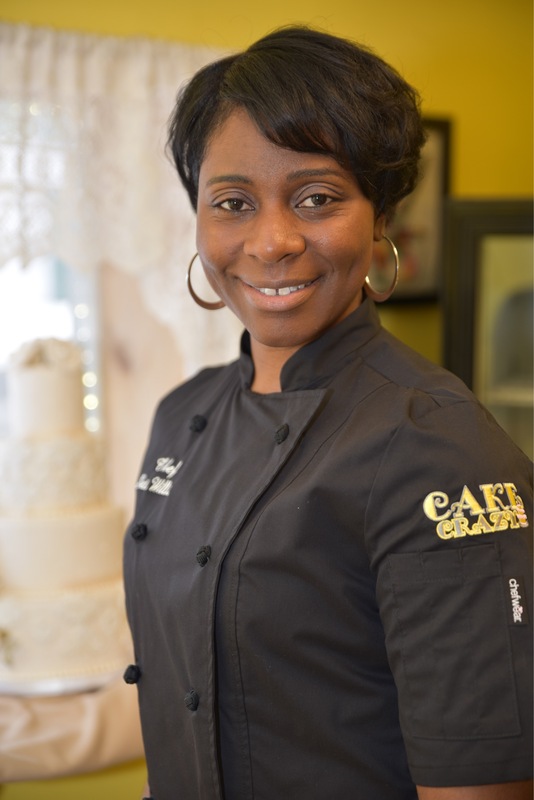 In 2014 she officially merged her passions for cooking and baking when she opened the doors of Cake Crazy Bakery and Gourmet Catering at 2525 William Street in Cheektowaga. These past years have been a whirlwind of challenges, innovation, and expansion. Shetice felt a pull to get back to her roots as a chef, and decided to offer contemporary scratch made soups, salads, sandwiches and small plates with a Southern Flair. 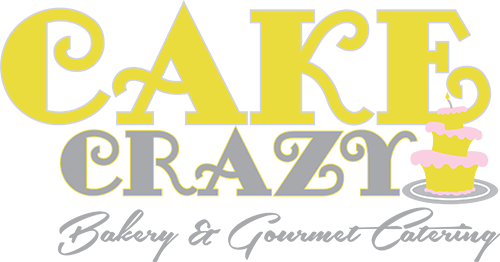 You can still count on Cake Crazy for catering, custom cakes and fresh baked goods, and now you can pick up lunch for dine in or take out Tuesday through Saturday. In the future, Shetice plans to open a stand-alone restaurant in addition to the bakery. "Excellent service and the creativity in the cupcakes just can't be beat! I won a Neapolitan cake from this place in March. I shared it with my family and friends and it was a big hit!" "Everything I've had has looked and tasted great...especially the cassata cupcakes, they're everything...awesome job and highly recommended!!!" "Great first experience White chocolate Strawberries, and raspberry cheesecake cupcakes are great. Great Service, Very Nice location and very clean with great prices!! Will continue to support and recommend to others! Thank You!!" "What a wonderful local bakery with delicious and fresh baked goods. A warm and friendly neighborhood location. You simply must check this place out!!" "A few visits to this local bakery and I love it! I was really pleased with all the awesome cupcakes! They look great and taste even better! Today's visit was even better.. stopped in and had the great pleasure of meeting the owner. She is kind, super enthusiastic and really made me feel welcomed! I look forward to many visits in the future!" "Shetice provided services for a reception for our volunteers at Gilda’s Club Western New York. The food was both delicious and beautifully presented. Shetice is not only an excellent chef; she is also very easy to work with." "Thank you, Shetice for making my bridal shower a scrumptious success! The food was absolutely delicious, especially the Jerk chicken wings. The beautiful presentation was breath taking. Chef Shetice had such a warm, friendly, professional presence that more than exceeded my expectations. Thanks Again!" "Dear Shetice, I am writing to “thank you” for catering our Katrina Relief Fundraiser during the spring of 2008. In fact, everyone in attendance commented about your professionalism and how well the food was presented. The presentation of the food and the use of real utensils added to the special feeling of the night. I’m am glad that we chose your services, and look forward to working with you in the future." "Shetice is a perfectionist and will take the time to carefully plan every detail of your menu the way you want it! Hands down my favorite cuisine Shetice makes is her “Soul Food”. The macaroni and cheese is to die for and her fried chicken is seasoned perfectly. I especially like that the food has all of the flavor of traditional soul food without being greasy. " "Shetice did an absolutely wonderful job catering our wedding reception at the Burchfield-Penny Arts Center. Shetice was very giving of her time and expertise in the months leading up to our big event. When the day finally arrived, our families could not have imagined anything better." "Wow! In January I celebrated my 50th birthday. I was indeed nervous about all the preparations of a sit down dinner for 30 people in my home. A friend recommended Catering by Shetice. After meeting Shetice I was taken aback by her professionalism and expertise in somehow knowing just what I wanted. She prepared a spectacular four course meal for my birthday dinner. Not only was the price right, but the food was great. Throughout the evening, my guests were asking where I found her. The servers were just as pleasant and professional, and to top it all off, she left my home as clean as she found it. I can’t wait until next year!" "We recently hired Shetice Williams to cater a surprise party for our mother. Ms. Williams immediately impressed us as a first class professional during the initial planning meeting. She listened to our family's vision and request for good, tasty and healthy food. She guided us to create a menu befitting the theme of the party and our budget. Our confidence in Shetice's ability to create a magnificent buffet was confirmed when we entered the banquet room. We were dazzled by Ms. Williams' spectacular presentation of the delicious food. The food got rave reviews from our guests and our mother's discerning palate. We strongly recommend calling Catering by Shetice for your next event. Bon appetite!"